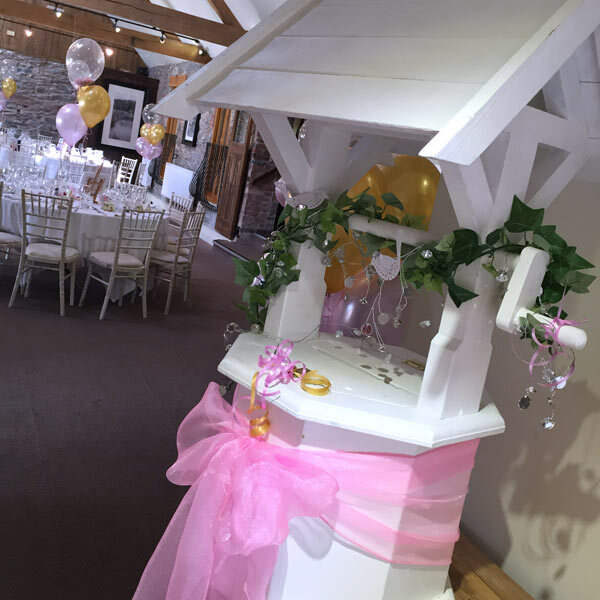 Add the finishing touch to any present table with our Post Boxes and Wishing Wells. 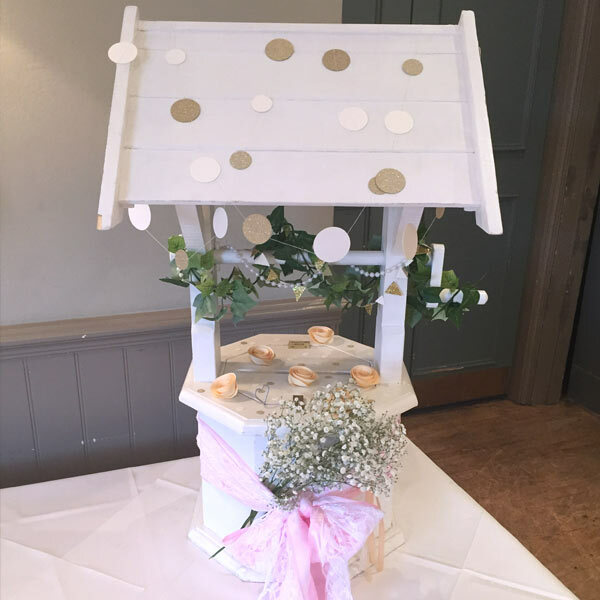 A beautiful way to accept Cards and decorated to suit any theme. 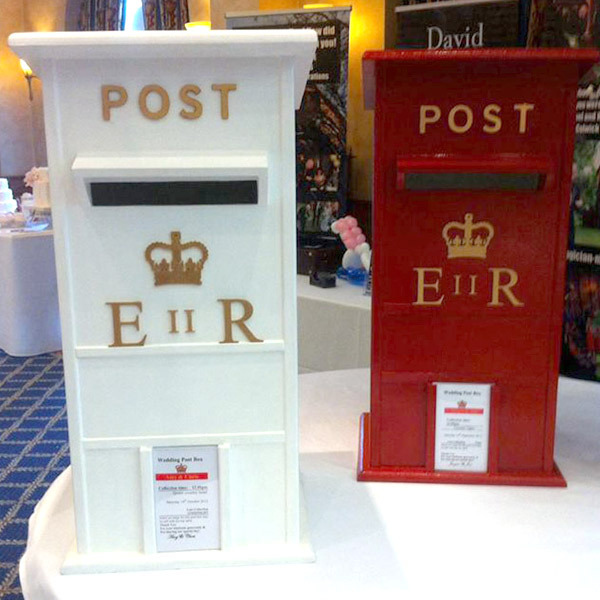 Postboxes are available in 3 colours – Red, White & Ivory & are personalised.